The elliptical trainer doesn't provide enough impact for significant bone building. 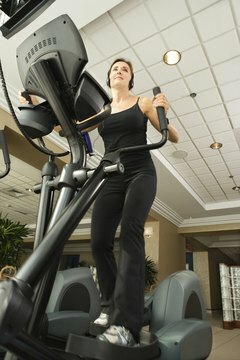 The elliptical bike may provide a killer cardio workout, but if bone building is your aim, it's time to look elsewhere. Although using this machine may help bones slightly, it simply doesn't have what it takes to build serious density. If you love the elliptical trainer, you don't need to ditch it completely -- but spend part of your aerobic exercise session on more bone-friendly activities. If you're new to exercise, see a doctor before starting a routine. An elliptical trainer is a cross between a stationary bike and a stair stepper, and using it tones your legs and hips while boosting cardiovascular health. 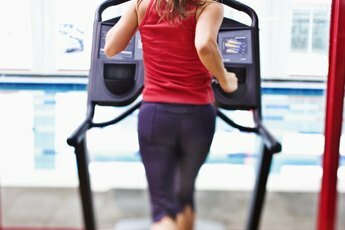 The elliptical offers similar benefits as the treadmill, but with less impact. Some people prefer low-impact activity because it's easier on the joints; however, the lack of impact is precisely why elliptical trainers don't build bone density. 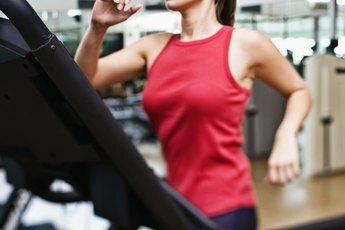 MayoClinic.com recommends using the elliptical machine to train for marathons or other endurance events because it's less likely to cause overload injuries with heavy use. You're on the right track by associating exercise with bone health -- many activities help build bone density, helping to avoid fractures and fend off demineralization. The key is to go for weight-bearing exercises such as walking, running, jumping rope and aerobic dancing, as well as strength-training exercises such as lifting weights or performing pushups. For best results, perform a combination of weight-bearing cardio, which usually builds bone strength in the lower body, and strength-training activities, particularly those that use your arms, chest and back to build stronger bones in your upper body. Exercise is one of the best ways to build healthy bones, but diet also makes a big difference. 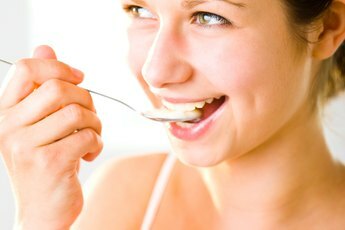 Get 1,000 milligrams of calcium per day, and 400 to 800 IU of vitamin D. Your body naturally creates vitamin D when your skin is exposed to sunlight, but if you live in a cooler climate or avoid solar rays, it's especially important to eat vitamin-D-rich foods. Fortified milk and yogurt help cover both calcium and vitamin D needs, and some orange juices are also fortified with both nutrients. Go easy on caffeine and alcoholic beverages, both of which decrease calcium absorption. Bone strength is especially crucial for women because females are far more likely to develop osteoporosis than men -- after menopause, expect to lose 1 to 2 percent of your bone mass each year if you don't take steps to improve density. Menopause may seem far off now, but the actions you take while you're still young affect your bones for the rest of your life. If you weigh less than 127 pounds, are Caucasian or Asian or have a family history of osteoporosis, you have a greater risk of developing it later in life. What Minerals Are Found in Bone Tissue?